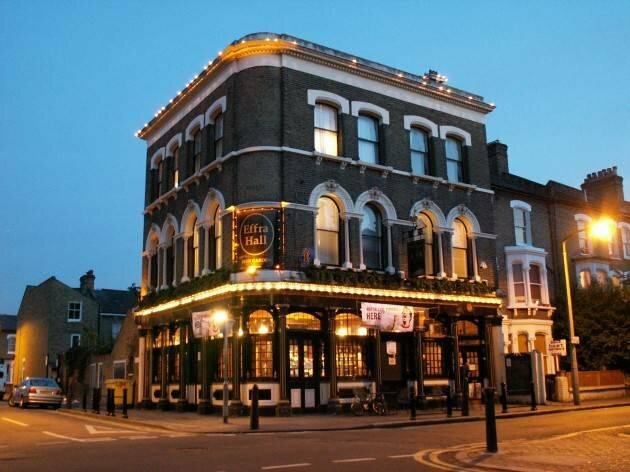 The Effra Hall Tavern is a traditional local public house located in the heart of Brixton. Live music and great atmosphere that attracts many locals to this roomy Victorian pub and beer garden. The Effra Hall Tavern offers a range of drinks including Red Stripe, Guinness, and delicious jerk chicken and rice, with friendly staff and great live music. Often hearing the sounds of Ska-reggae , soul and excellent Jazz.